Switches are essential components of computer networks. They serve as a distribution unit for data packets to end devices and are essential for the reliable operation of network infrastructures in many industries and applications. The LANCOM Gigabit Ethernet switch portfolio is the basis for state-of-the-art network infrastructures for any industry or application. The product range includes models with Power over Ethernet (PoE), fiber-optic connectors (SFP), and Gigabit ports of varying number. 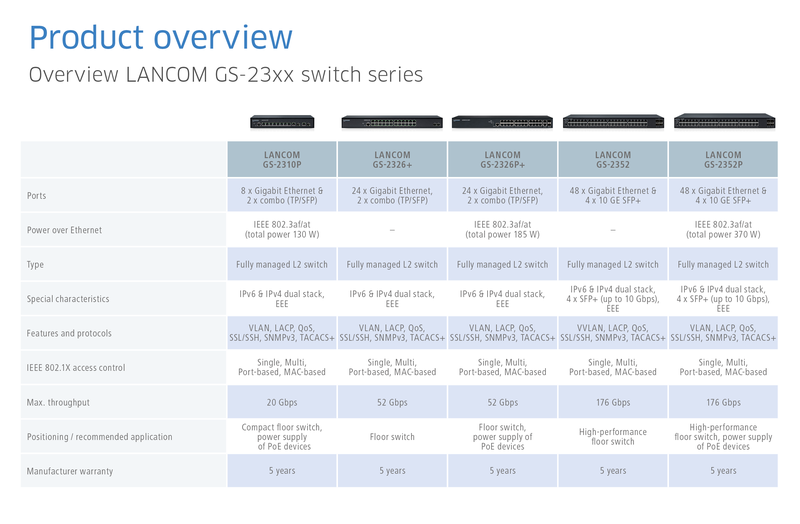 LANCOM managed switches are also well equipped for management and security: TACACS+, SNMPv3, SSH and SSL make the convenience of remote maintenance absolutely secure. Thanks to the dual-stack implementation, the network switches operate in pure IPv4, pure IPv6, or in mixed networks. 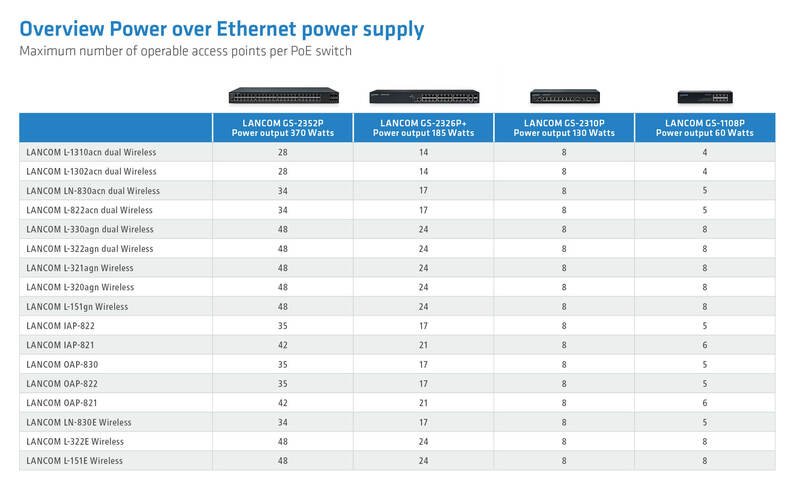 LANCOM offers small 8-port switches and 10-port switches, medium-sized 26-port switches, and also large-scale 52-port Ethernet switches.